This book/photo media is perfect to create oil paintings.Included in this book is a handful (various media) demonstration as well.The ability to use these files as detail reference is wonderful. I send the files to be printed to scale of my painting by sending a quick photo file to Walmart or where ever and printing LARGER.Therefore my source material and canvas are the same dimensions.This helps me proportionally and allows me to PAINT... and tinker with moods, details, and color palette. WOW, this is a great tool for many types of artists. And then I tuck the source photo behind the canvas itself so that at a later date, I can always review my interpretation of the scene. This unique reference features more than 500 outstanding photos of landscape elements in various seasons, times of day and perspectives. Forests, fields, beaches, waterfalls, hills, mountains, lakes, rivers, mesas, deserts, canyons and more are featured. Seven step-by-step demonstrations by a variety of artists illustrate how to use the reference photos to create gorgeous landscapes in a wide range of mediums. this book was a gift for my brother, he has stated that he has recieved the book in a in a timely fashion and also enjoyed this book. 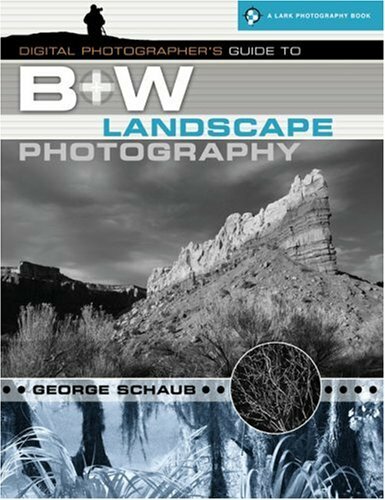 This is a wonderful reference book and I would highly recommend this book for anyone interested in landscape painting or photography. I think this reference book is absolutely wonderful.The author has written permission to photocopy out of the book and tips on how to make a collection of pictures into one.I also just love the variety that it comes with.I was saddened that there was no rain, but everything else widely overcomes it.If your looking for a book full of pictures, this is the one to get!! A photo reference should of course contain plenty of photos, but here there may be too many, or maybe it's that they'recrammedfour or five to a page. I've worked with small print photos of my own as a reference and it's no bother ( I canenlarge them if I need to), but when a smallish image is one of a group on that same page, well...it's just too crowded. Perhaps less would be more. Maybe it's my merely-intermediate stature, but I'd rather a larger format, such as a volume called "America" (or "American Landscapes") that I found at the library, with one or two great photos to a page. 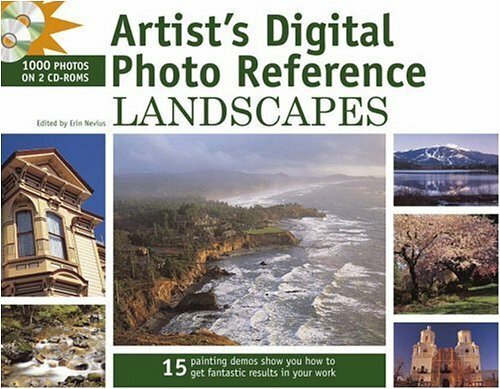 "Artist's Photo Reference: Landscapes"is helpfully organized into categories and sections within those categories, and offers a few demos.That's a good thing. I may not unload this book, but I'll more likely hit the library for some general photography books. 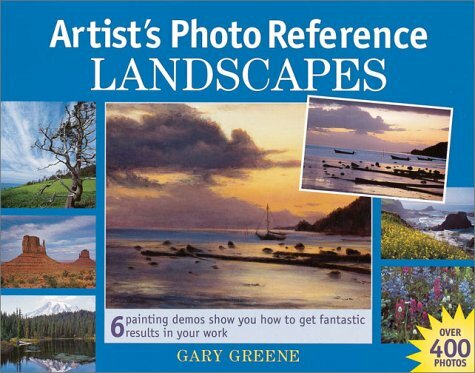 This is a really good reference book for landscapes. I use it often when I need a good outdoor scene for a painting. I really like to use the landscapes that depict sunset/sunrise. This book has most definitely been the most used art reference book in my studio. 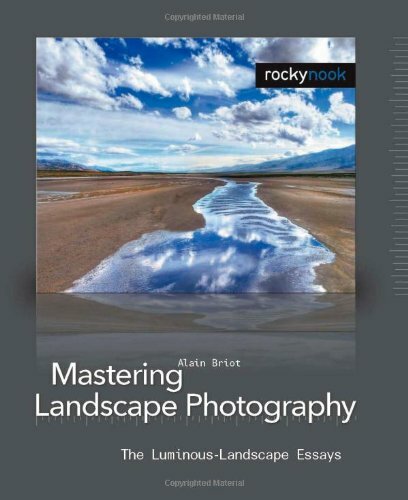 Thirteen essays on landscape photography by master photographer Alain Briot. Topics include practical, technical, and aesthetic aspects of photography to help photographers build and refine their skills.Also covered is how to be an artist in business. Alain Briot is one of the leading contemporary landscape photographers. He received his education in France and currently works mostly in the southwestern part of the United States. This book starts with the technical aspects of photography; how to see, compose, find the right light, and select the best lens for a specific shot. It continues by focusing on the artistic aspects of photography with chapters on how to select your best work, how to create a portfolio, and finally concludes with two chapters on how to be an artist in business. Amazing photos, lot of talk, and talk, nothing specific to learn in it, he talks more abouth his cameras and equipments he has have. 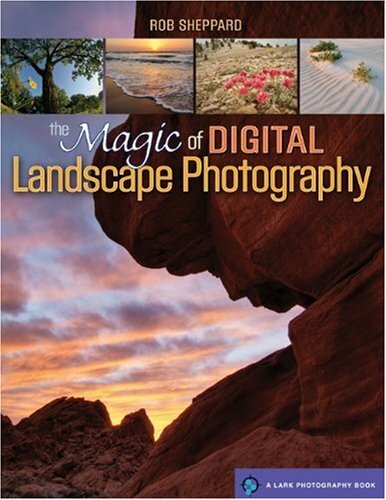 This book tells you much more than the technical aspects of taking landscape photos. It tells you also about the state of mind of being a landscape photographer, and the emotional aspects of it. This is the first photography book that I liked, as it has personal attitude and not just technical details. 1) The author often repeats the same. You can find one idea told several times (even though in a slightly different wording) within a page or even a paragraph. 2) I found most of the pictures of rather low technical quality and not really inspiring. I thought that this might be due to some printing issues, but I do not think so anymore after looking at pictures on author's website. Some pictures are repeated throughout the book as well as the text. There are definitely some interesting ideas in the book, but the two things pointed above deteriorated its quality for me. This book is unique. It's not about how to use photographic equipments or how to use photoshop. But rather the making of photos in the mind of the photographer. I have taking photos for more than 25 years with SLRs/DSLRs, and this book helped me refine and refocus on what I want to photograph and how to achieve it. That is, make a better photographer out of myself. This book is definitely not for beginners. If you are looking for which camera to buy, instructions to track flying birds, recommendations for which GND filters to use, ...,then this book is not for you. I also enjoy Alan's writing a lot. I know most of the articles are still available online. But I still decided to buy this hardcopy. And I enjoy it so much. It's well worth to keep a hardcopy. The only issue I have with this book is its printing quality. When I wrote notes and marks in one page, the pages below it got marks too. It seems the ink that's used for printing those color photos is not dried yet. I wish it can be made with better quality. 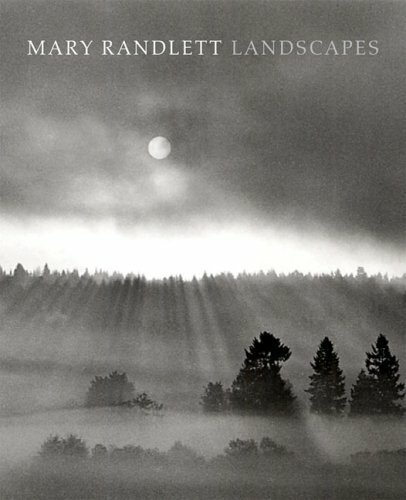 Mary Randlett's photographic vision of the Northwest is big-hearted, intricate, and tender -- and fully inhabited by the animals, tides, forests, mountains, and spirits that dwell there. What others may take for granted, Randlett sees as quintessential: overcast days with endless and often exquisite variations of gray clouds, raindrops on puddles, dripping branches, and distant shafts of sunlight breaking through the cloud cover. She is steeped in the history of the Northwest and its many art forms. The images presented here are a visual record of the Northwest at its most pristine and poetic. During her many years of finely tuned observation, Randlett has learned to take the time to ponder the essences of what she sees -- the curl of a bird's drifting feather, a water strider not quite breaking the surface of the water, fog ascending a hillside, the moment a pond's surface turns to ice. The subjects of the photos in the book are beautiful, I just wish they were in an enlarged format so the overall impression would pull the reader more strongly. The accompanying poetry on some of the pictures enhanced the aesthetic quality. I'd like to see more from this photographer. Like only the finest of art photography -- photography which truly transcends its function as document or record -- Randlett's images make you want to look, and look, and keep looking, in the same way as a fine drawing or painting.There are some pictures here which are all but abstracts, and bear comparison with the finest abstract work in other mediums.However, usually you know what the object is at which she pointed her camera, but you are never its prisoner, never find yourself asking "just where is that island? "Instead you find yourself dwelling on the new thing, the new world, she has made of that object -- whether a tree, or a bird, or light on the sea, or a cloud-blurred mountain -- the world to be explored right there on the paper, within the spaces and shapes there delineated or suggested.You don't say "what a beautiful place, let's go there"; instead you say, "what a beautiful world I am in, just sitting here poring over these shapes and shadows". At times Randlett's work reminds me of certain Japanese or especially Chinese ink drawings of landscapes, of the kind that employs blurring and suggestion more than precise outlines; it has some of that same mysterious suggestiveness.But not all her images are of that kind; she can capture sharp lines and silhouettes as well.But even then she is creating a new place, not pointing to one somewhere else, on your travel map; and she's inviting you in -- here, right here, on this paper:come in and dwell. Some of these images were included in her recent show at the Tacoma Art Museum.If that show is still open, I strongly recommend a visit.In any case, I recommend this book and the worlds in it.It opens the way to endless exploration and pleasure. Scenic photography is a perennially popular subjectand no one is better than Rob Sheppard, founding editor of Outdoor Photographer, to help photographers master the art of shooting landscapes. In the tradition of Sheppard’s bestselling The Magic of Digital Nature Photography, this new book covers everything from cameras and lenses to tools and techniques, all interpreted from the landscape photographer’s perspective. It gives details on working with skies, water, light, and other crucial elements, and puts the information together in an inspiring and accessible way. Several chapters hone in on particular types of landscape, while a variety of professionals weigh in with their own point of view on the topic. Authors shouldn't be promoting their own books in Amazon reviews! As far as I'm concerned, it should be against Amazon policy to have authors, such as Rob Sheppard, and contributing artists, such as Bill Fortney, promote their own books and give glowing ratings. To me, the review section is a place for the rest of us to comment on a particular item. I find it distasteful that the author and another person involved with this book chose to post self-promoting reviews. I am aware that my opinion tells potential buyers absolutely nothing about the quality of this book. For that, I am sorry. I may still purchase this and Rob's earlier book on digital nature photography. Lark Photography Books are usually very well done. However, I feel quite strongly that authors need to stay out of the Amazon review section for their own works. I really found this book incredibly useful. It breaks the information down into very detailed categories and presents it in ways that are easy to understand and comprehensive. The author also really delves into areas of the DSLR that many books do not. I'm looking forward to my next photography outing as I think the tips and information from this title will really improve my images. I would guess that at some time almost every photographer has tried to make a photograph of a landscape, and that often the results are disappointing.That is probably because, to paraphrase Rob Sheppard, the photographer tried to capture the scenery rather than take a photograph.Taking a landscape photograph is what this book is about in elemental terms. The book starts with the usual gear discussion, including advice on how to set up one's camera. The author then discusses the nature of light and some simple rules of composition, followed by a chapter on the important elements of water and sky.After a brief discussion of capturing man's presence in the landscape, there is a chapter on special techniques like black-and-white photography, panoramas and high dynamic range photography ("HDR").The final chapter looks more closely at some of the themes of landscape photography like deserts, oceans and prairies, and includes a number of useful tips for different kinds of environments.The book concludes with a brief essay by conservation photography editor Miriam Stein on using landscape photos to change the world. Several profiles of noted landscape photographers are scattered throughout the book. 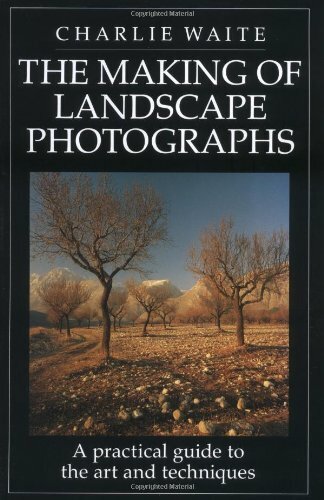 Even though the book is aimed at the beginning landscape photographer, there is little emphasis on technique so the reader should be acquainted with exposure, depth of field and the like.Instead Sheppard concentrates on the content of the image, although he does refer to technique as a method of explicating the image.Sheppard's writing and images are clear and will help those who are just connecting with landscape, but will be unlikely to help more experienced landscape photographers. The chapter on special techniques will mostly serve to let the reader know that HDR and the like exist, but actual experimenting with these tools will probably require reading some additional materials. There is little instruction on post-processing, although it is occasionally mentioned. For the beginning landscape photographer who knows how to use his camera, this is an excellent way to ease into landscapes.It will prove far too simple for the experienced landscape photographer. I've ben a landscape shooter for many years and any book that after a good reading leaves me having picked up several new ideas is very worthwhile. Rob Sheppard's newest book, The Magic of Digital Landscape Photography, is a wonderful addition to the growing collection of works on digital photography.It is well organized and contains many useful features.Rob does an excellent job of sharing the basics--gear, camera settings, dealing with light, etc.--but for me the book's greatest contribution is what comes afterwards.Following a helpful chapter on composition Rob looks at landscape photography from a variety of perspectives.I especially liked his unit on "Themes" where he discusses how to approach different settings: mountains, forests, oceans, flower landscapes, wetscapes, prairies and small scale landscapes.It is obvious from reading this section that Rob cares about the things he photographs. The book contains information on many of the latest trends in digital photography (HDR, panoramics, black and white conversion) and also, through "photographer profiles," insight from leading photographers such as George Lepp, Bill Fortney and Richard Hamilton Smith.All of this, combined with Rob's outstanding collection of illustrative images, makes this book an invaluable tool for those wishing to take their landscape photography to the next level. 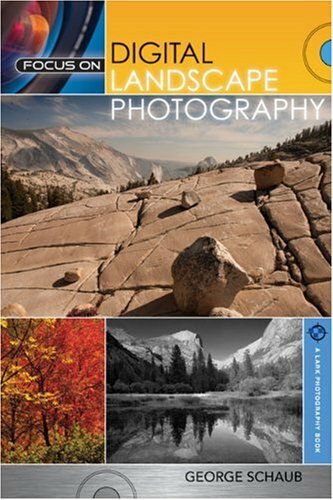 Rob Sheppard offers in this book something for photographers of all levels.For years I have recommended his books to my workshop students.The Magic of Digital Landscape Photography will be no exception.I recommend it to you as well! Digital technology has revolutionized photography—nowhere more dramatically than with black-and-white. Interest in the subject has reached an all-time high, and this guide by an esteemed photographer and editor of Shutterbug magazine is the only complete foundation course on monochrome digital landscape photography. It explains all the basics of the highly popular subject: how to meter and expose scenes so they convert well to grayscale, control how colors are rendered as gray tones, expose for highlights and develop (in the computer) for the lowlights, manage contrast, and create a magical print. We discovered while on vacation several years ago that my wife has a natural talent for landscape photography.Since then I have bought better and better cameras for her.This fall I purchased a Canon XSi with multiple lenses.She was already taking remarkable pictures.But this book helped her to have less throw away shots and more of the WOW shots. This book is quite possibly one of the best I've ever read on photography.The authors start out with a general introduction and discuss the various equipment (camera, lenses, tripods, etc) they use and then jump right into the meat of the topic with controlling exposure/aperture, histograms, RAW, etc.From there it goes more into lighting conditions, weather, color temperature, then landscape composition and so on.I feel all the information is laid out in an easy to understand fashion, so it's effective for less-seasoned photographers, but at the same time stated concisely enough for experienced ones not to get bored. One of my absolute favorite aspects of this book is that they do a very good job of showing you the different effects you can achieve my modifying parameters such as exposure/aperture/etc and you can see the results in each photo side-by-side.In addition every picture I remember seeing had the equipment and exposure settings listed right underneath, allowing you to easily see how they captured each shot.All of this wonderful knowledge focused around the art of landscape photography makes for an excellent book. A side note: The book isn't long, you can read through it fairly quickly (140 pgs but thick stock - good print quality).Also, the photographers do use primarily Canon equipment so that is what is discussed under the first section (sorry Nikon users).Shouldn't be a problem either way though, the actual photography information itself is camera-agnostic. I like this book. I bought it after reviewing it at a bookstore before I saw it online (including the reviews). I like the way it is setup.Each author covers an area.I love the way they talk about the equipment and the settings for each shot and how they achieved it. Buy it.It will make you a better photographer. 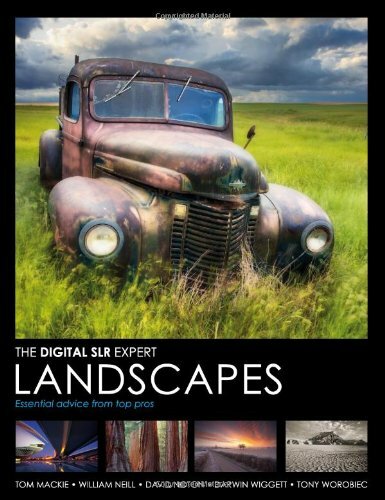 After reading over a dozen books on landscape photography and HDR tools I am finding this one to be the best so far.The way it lays out the information and illustrates it is incredibly useful at the time that I am trying to create pictures. I am an amateur photographer and have been for two years. This book speaks to me as such without making me feel stupid or inferior for not having a career as a professional photographer. I give this book great praise for the information found within it. Although world-renown photographers are speaking to the reader about their personal field experiences and expertise, it is written in straight-forward language that amateurs may understand. The book begins with an introduction of the five photographers and why they all prefer digital SLR systems over their former film systems. The next section includes the equipment used by each man to actually make the shots they get. They then provide concise dialogue of controlling exposure (chapter 1), understanding light (chapter 2), composing landscape images (chapter 3), landscape locations (chapter 4), and landscapes in black and white (chapter 5). The book is not a series of drab or artistically subjective photographs that make you wonder, "Well, that picture looks nice/interesting...but how did they actually achieve this?" 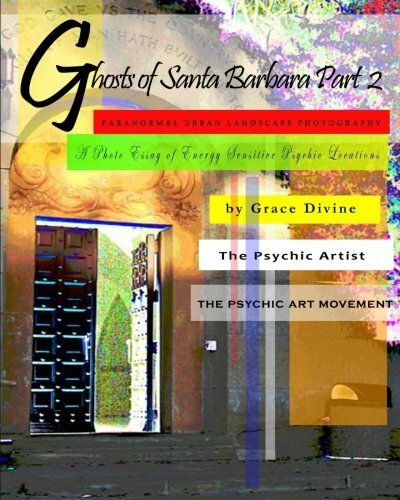 The photographs included in the book are essential in outlining their varied techniques and I love this book for their method in doing so. Rather than just place pictures throughout the book with painfully vague captions stating, "See how the light plays a role on the landscape?" or, "Simplicity at its best," they actually have full captions accompanying every photograph detailing: 1. the location, 2. their critique of their work with additional tips and techniques, and 3. (THE MOST IMPORTANT) the camera equipment they used to take it and the shot information (i.e. Canon EOS-1Ds Mark II, 70-200mm lens, 1/15 sec at f/11, ISO 100)!! Every single picture has captions to that effect and it is extraordinarily helpful to see what literally makes a good landscape photograph. The book does not supply you with endless technical details throughout the narration, so don't expect an all-encompassing book about photography. This book is specific to real landscapes found in the real world with minimal post-processing and nothing more. No slight-of-hand, no smoke and mirrors, just real testimonials of professionals who use digital SLRs as though they were film systems - but with digital perks. An example of this is when David Noton explains in a caption that he spent four days staking out the best conditions for just one photograph. They didn't take a few snapshots and splice them together in post-processing to make a digital fake. 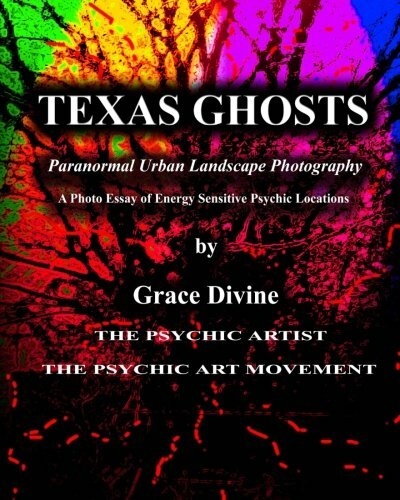 This book showcases genuine professional photography! Similarly mentioned by another reviewer, the layout of the book does not make me feel as though I stumbled upon a "world-renown" photographer's highbrow portfolio and soiled it with my inexperienced, amateurish eyes. The book is straight-forward and written by guys who know their stuff and, more importantly, have the humility to translate their work for amateurs to understand. outlines only the crucial concepts and principlesfrom spot metering and fill flash to backlighting and sharpeningand applies them to real-world shooting scenarios out in the field. Focus on Digital Landscape Photography provides quick, easy techniques for a range of scenes, telling what any digital photography needs to know from using camera tools to check images in the field to reducing shadows in forest shots or enhancing landscapes with built-in flash. Color photo examples accompany tips on metering, exposure and more in this outstanding guide. 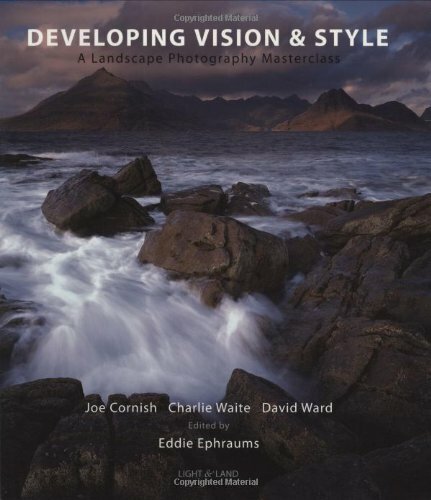 Photographers aspiring to create images that reflect their own visions of a chosen landscape with a distinctive personal style will find great inspiration and practical guidance in this book. Alongside a portfolio of their latest work, each of the three photographers writes about the genre for which they are known: how they came to it, what inspires them, and how each developed his own particular style. The book also features photographs submitted by readers of Outdoor Photography magazine, accompanied by comments, critiques, and advice from the authors who suggest ways in which these contributors might further develop and refine their work. The combination of stunning imagery with inspirational and insightful three-to-one advice makes this a truly unique photography guide, which no landscape enthusiast will want to be without. This is clearly not a how-to book. In fact, there can be no such thing as a how-to book on subjects as complex as vision and style. I think this book is for photographers who are already proficient in all aspects of the craft, and seek to prod the minds of top-rated professionals. I found the book highly thought-provoking and refreshingly honest. Too often, the pros with industrial-sized egos feel compelled to answer all the questions. But these photographers are at the top of their game, and yet seem comfortable admitting that they lack some of the answers. Vision and style is not a mathematical process that can be explained away with a formula or logic diagram. It may be more like finding a philosophy that suits our character. The photos in this book are breathtaking and the words are inspirational. The authors do not provide a roadmap for developing vision (they cannot), but rather point to a vague path in the woods where each of us must hike to find our way out the other side. But hike we must. I've just finished reading Developing Vision and Style, and I'm not entirely sure what to make of it. The book's images are uniformly beautiful and reproduced very well, even in the paperback edition of the book I bought. Very good book, refreshing, gave me some ideas. Will have this permanently on my shelf as a reference. I was very disappointed. Not a single photographer defined their vision or told how they developed their own vision, or, for that matter, gave any advice at all about what a vision is. I had hoped we would be given many different perspectives on "vision"...something like, "Here are the elements and factors that I feel go into making a vision." Given this kind of starting point, I could then add to the list of elements and refine them into my own, private, creation. "Photographic vision means seeing, as opposed to merely looking." You hear this same theme repeated in a variety of ways by each of the contributors to the book. It is the closest any of them comes to defining "vision." I really learned very little in this book. The photos were terrific, but I didn't want to buy a picture book. I really hoped to gain insight into how I could go about deliberately developing a vision that I could explain to others. The title "Developing Vision & Style: a Landscape Photography Masterclass" sounds like it might be an instructional manual.But it is not, at least not in any conventional sense.Instead it is a collection of beautiful landscape photographs, along with a number of opinions, some of them profound and a few sophomoric, about the meaning of vision and style. A substantial number of the pictures, although by no means a majority, were taken by the authors Joe Cornish, Charlie Waite and David Ward, who are numbered amongst Great Britain's most distinguished landscape photographers.The remaining pictures were submitted by "aspiring photographers" who were invited to submit their pictures.Most of the pictures are of the intimate landscape type rather than the grand view.It seemed to me that there were a great number of lovely pictures of wet rocks and rocky shores. The photographers were asked a number of questions like "what does vision mean to you"; and "how would you describe your vision"; and "what does style mean to you"; and "how would you describe your style"?Some of the answers are printed in proximity to the photographers' pictures. The editors claim that the book teaches by "encouraging students...to ask themselves critical questions and to take a fresh look at their personal vision, along with the style they select to express it." Perhaps this format would have been more effective if there had been some back and forth debate rather than just a collection of statements.It might also have been more like a true master class if the three authors had offered a critique of the vision and style of the participating photographers.Alas, the authors only comment on each others work, and then only to say how good it is. At the same time I realize that it would have been hard to get any photographer to agree to have his work published if it were to be the subject of a critique.I also recognize that while trying to define vision and style may be difficult for any photographer, trying to get photographers to agree on such a subject may be impossible.At the same time it may be useful for the individual photographer's development to come to his or her own definition of vision and style. In many ways, readers interested in this topic might do better to read Ward's book "Landscape Within: Insights and Inspirations for Photographers" in which Ward's discussions of vision and style are articulated in a better fashion.For those who want a book to help them to develop their vision and style more than just to define the terms, I recommend an old favorite, Freeman Patterson's "Photography and the Art of Seeing".Moreover, because I believe that understanding the landscape will help one develop one's vision and style.I recommend Niall Benvie's "Creative Landscape Photography (Creative Photography)". For the creative photographer, vision and style are important issues, even though they may never satisfactorily be defined.If this book can help the photographer toward a definition, it will have served a good purpose.If not, at least there are a lot of lovely pictures. 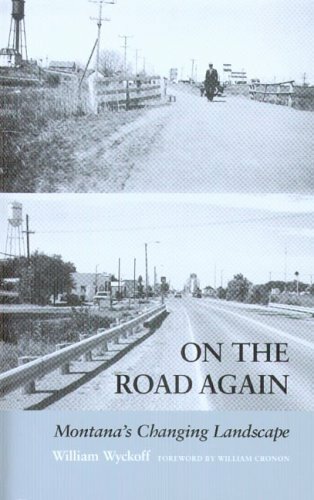 In On the Road Again, William Wyckoff explores Montana’s changing physical and cultural landscape by pairing photographs taken by state highway engineers in the 1920s and 1930s with photographs taken at the same sites today. The older photographs, preserved in the archives of the Montana Historical Society, were intended to document the expenditure of federal highway funds. Because it is nearly impossible to photograph a road without also photographing the landscape through which that road passes, these images contain a wealth of information about the state’s environment during the early decades of the twentieth century. To highlight landscape changes -- and continuities -- over more than eighty years, Wyckoff chose fifty-eight documented locations and traveled to each to photograph the exact same view. The pairs of old and new photos and accompanying interpretive essays presented here tell a vivid story of physical, cultural, and economic change. Wyckoff has grouped his selections to cover a fairly even mix of views from the eastern and western parts of the state, including a wide assortment of land use settings and rural and urban landscapes. The photo pairs are organized in thirteen "visual themes," such as forested areas, open spaces, and sacred spaces, which parallel landscape change across the entire American West. 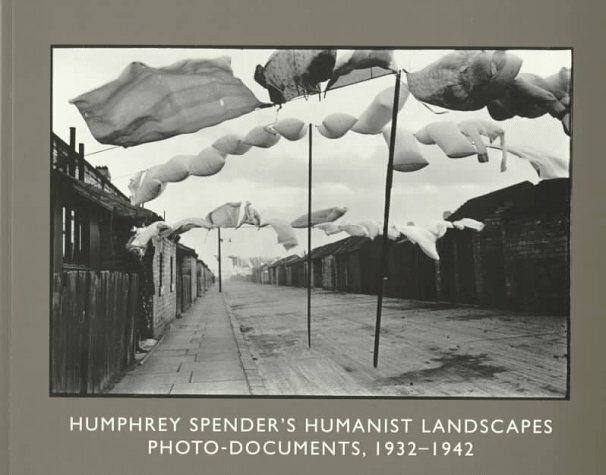 A close, thoughtful look at these photographsreveals how crops, fences, trees, and houses shape the everyday landscape, both in the first quarter of the twentieth century and in the present. The photographs offer an intimate view into Montana, into how Montana has changed in the past eighty years and how it may continue to change in the twenty-first century. This is a perfect book.Admittedly, the subject matter may not appeal to a broad audience, but any book so masterfully crafted must get a perfect score. First, it is important to note that this book is less about roads than it is about landscapes and the meaning of changes to landscapes.The archives of the Montana Historical Society contain photos taken of road projects in the 1920s and 1930s.The federal government was just beginning to provide money for road construction at that time.These black-and-white photos show before and after views of how Montana was spending the money.Mr. Wyckoff selected a group of the photos and traveled the state during 2001-2003 re-photographing the scenes as closely as possible.In addition, he researched each scene by consulting people familiar with the history of the location, reviewing newspaper files, and finding other historical sources.It is obvious that gathering the material for this book required an enormous amount of time and work.The heart of the book is an introductory chapter, 58 two-page modules, and a closing chapter.There is also a Foreward written by William Cronon and what Mr. Wyckoff terms a Bibliographic Essay.Each part of the book is perfect in its own right, even the title. Second, Mr. Wyckoff is a very good writer.Students at Montana State University must feel privileged to take a class in historical geography from Mr. Wyckoff. The 27-page introductory chapter takes the reader through an overview of the field of re-photography and the science of historical geography.To illustrate, it analyzes two photos taken from the same spot near Fife, Montana, one showing the scene in 1922 and the other in 2001.The section also provides a sufficient overview of Montana history that a person unfamiliar with the state can easily understand the context of the modules that follow. Each of the 58 modules has a pair of black-and-white photos taken about eighty years apart.The facing page of text analyzes the photos in terms of changes, or lack of changes, in the scene and what that might mean to the landscape itself or to the people who live there.The comments range from locally significant to those of import statewide or nationally.Some of the scenes are rural and Mr. Wyckoff points out changes in land use, crops, or the ecology of the area.For example, a large number of the photos show an increase in the number of trees on the landscape and the text discusses what happens in the absence of fire.Some shots are urban, such as the downtown scenes in Polson and Wibaux.The discussions highlight the differences that occur depending on whether the town is growing or not.Some modules describe the impact of railroads, mining, and other industries as they wax and wane.In some cases the roads of the 1920s have become interstate highways, and in other places they have returned to sagebrush or farmland.Often the text analyzes the changes in the broader context of Montana's economic, political, cultural, and ecological history. I am giving the book as gifts or recommending it to people interested in Montana, particularly those familiar with the state's physical aspects.I also find myself recommending it to people with a general interest in history and as an example of how to develop a perfect book. Photo Idea Index: Places is a photography book unlike any other. Rather than focusing on the ?how-to? 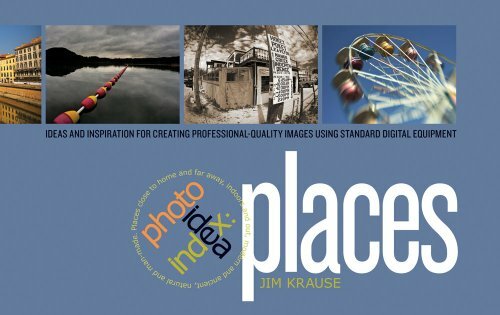 aspects of digital photography, author Jim Krause focuses on the ?what-if? aspects. Well, I'm sorry to put a damper on things, but this is just not my type of book and if I didn't have to pay the postage to return it, I would do just that.I mean, there is nothing wrong with the subject matter - it's always good to get inspiration, but I get more inspiration from reading a Popular Photography magazine and the photos in the magazine are done a lot nicer than most of the photos in this book.Could be the paper they are printed on.I hate to give a bad review because I know others have enjoyed these books and that's why I ordered it, so we'll just say it is not to MY liking.You may like it very much. Before buying it would have been nice to know the paper grade that the photos were printed on and it would have been helpful to have more photos in the "preview before ordering" section. Yes, totally awesome follow-up to his Photo Idea Index book. This book is sheer inspiration. It can be viewed as a book of artistic photos, but really is is an idea book for capturing more of what's around you or seeking out places you haven't been and exploring through your camera. Each chapter ends with a collection of thumbnail photos accompanied with brief suggestions and ideas for capturing similar images. Kraus simply makes you want to travel the world, even it's your own backyard or neighborhood. If you are currently doing a photography project about a place and short of great ideas, this book makes an excellent reference material. Using his own photographs to illustrate the text, Charlie Waite explains the basis of his success as a landscape photographer. From the choice of camera and lens to the subtleties of lighting and composition, from manipulating the image to extracting the essential elements of a scene, he brings his years of practical experience to bear on the subject. The book contains many practical tips for the budding landscape photographer, but technical mastery is only one part of the story. The author aims, above all, to instill in readers his own love of landscape, and to encourage them to respond to, and capture, the world around them. Charlie Waite's prize-winning books include Landscape in Britain, Landscape in France, and Landscape in Italy. I found this book full of insightful comments and inspirational shots.So why the four starts instead of five?One reason is I don't enjoy the author's heavy use of warm-up filters at times...I simply *don't like* a number of the photographs.A number of the ones I do like are absolutely top notch in my opinion and the book is worth getting to see them.This is not, mind you, a book for an absolute beginner...I didn't like it at all until I had been through another book twice and taken almost 7,000 shots (digital, of course).THEN I had some data to hang the author's insights on and could make sense of what he was saying. I know I will refer back to this volume again and again as I (hopefully) mature as a photographer. This is one of the better books on photography that I have read. As one other reviewer wrote, one of my favorite things about the book is where Charlie makes recommendations about things that could have improved in the pictures...he suggests certain cropping that might help, or certain items that could have been left out of a picture to improve it. Equally helpful are the little touches that he mentions that really "make" a picture.He'll suggest covering up a small section of the picture with your hand, and he's right...without the highlight here or the rock there, the picture isn't as strong.It helped me think a little differently about the importance of seemingly minor things in the composition. One other small thing I like is that he includes not just the focal length of the lenses used in each picture, but also the types of filters used, shutter speed and aperture. I really enjoyed reading this book, and look forward to reading more of his others. This book has helped me immeasurably in deciding how to take certain photographs. His advice on the use of light and framing of the photographs is excellent. If you've been seriously into landscapes for a while, this probably won't have anything new for you aside maybe from some inspiration. If you are just starting out or unsure of your work in anyway, this book is a great reference. Either way, a well-written book with beautiful photographs in it. Just an average book on landscape photography. Not much on technical aspects but lots of nice photos to look at. 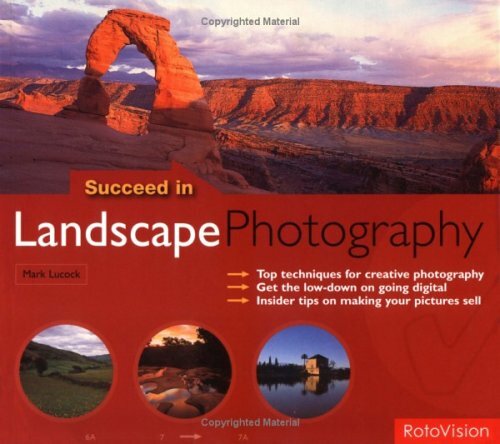 If you want to learn something about taking landscape photos, don't bother with this book. Magic ! ! ! This book captures you ! I have this book since around 4 years, and I always refer back to it. The notes are simple and straight to the point, and the photos are excellent. Full photographic details are there for each shot (aperture, shutter, film iso, lenses...). Although developments in camera technology mean that quality images are now well within the grasp of the keen amateur, the market place is competitive. How does an aspiring photographer improve and promote his or her photography in order to earn extra income, or to make the leap to professional status? This new subject-focused series explains everything the amateur needs to know, from planning a shoot to effective marketing of the images to clients. This book is a broad introduction to landscape photography.Thankfully, there is only an abbreviated version of the coverage of photography basics that is usually used to flesh out photography books that focus on a specific subject.This one goes more into the business of landscape photography than most books do, and has correspondingly less technical information.The author is Europe-based, which is a refreshing change from the US-based, and especially Southwest US-based viewpoints of most landscape photography authors. These dramatic rock formations, carved by the wind and shaped by water, and the vivid colors of the landscape are the subject of Jake Rajs's portrait of the Southwest—encompassing the natural beauty of Colorado, New Mexico, Arizona, and Utah. Featured are well-known and heavily visited national parks including Mesa Verde and Black Canyon in Colorado, Zion and Arches in Utah, the Vermilion Cliffs in Arizona, and Fort Union National Monument in New Mexico. From William Henry Jackson to Robert Adams, the American West has been a source of inspiration to photographers. 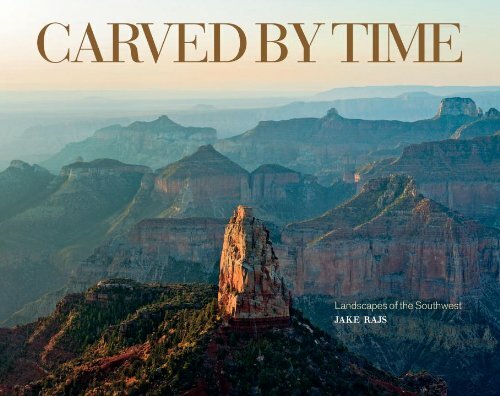 Now, in "Carved by Time: Landscapes of the Southwest", Jake Rajs, a photographer who has established his credentials by wonderful photographs of the northeastern part of the United States, turns his attention in the same direction. The book concentrates on the landscapes of the Four Corners states of Arizona, Colorado, New Mexico and Utah. The scenes photographed include places that every photographer who has wandered west of the Mississippi River knows: the Grand Canyon, Mesa Verde, Monument Valley, Canyon de Chelly and others.The landscapes are red, but Rajs doesn't forget to include what for me has become a trademark, magnificent skies. What most impressed me were the two page panoramic spreads that really helped to convey the ideas of the marriage of land and sky, although at the same time a panorama of birches seemed the next logical step beyond the birches of Ansel Adams and Eliot Porter. The pictures are devoid of humans, but the markings of man upon the landscape, in the form of photographs of the ruins of the Anasazi dwellings at Mesa Verde, Pueblo Bonito, Cocomino and other sites, and of ancient petroglyphs, are plentiful. I particularly liked the images that looked through an arcade of windows and doors, repeating patterns in this landscape of so much variation. The photographer also often provides us with several adjoining pictures of the same scene, varying either in scale or viewpoint, as if a single image could never be enough to tell us the story. Equally impressive were the snow-swathed landscapes where the white mitigated the endless red. For me the book called out for comparisons, both to the photographer's other work and to the work of other photographers. (I consider this call to comparison to be one of the features of art that works.) In his work on the North Fork of Long Island, Rajs created images of a more intimate nature, although many of those pictures took the wide view, and seemed to reflect his love of the place. Here one senses a certain feeling of awe and respect, and even though there is the occasional picture of foreground object set against background, it seemed to me almost as if the scope of the landscape forced Rajs to try to encompass it. I also could not avoid comparing these photographs to those by others who work in the same geographical areas. Foremost in my mind was the work of Jack Dykinga who somehow has managed to tame this same landscape to a comprehensible size and to overcome the constant redness of things. I don't mean to fault Rajs by this comment. Rather it is a statement of the meaning and vision that I found in his photographs, and meaning and vision is, after all, what moves photographs from snapshots to art.